Kevin McCarthy’s first two novels, Irregulars and Peeler, were set against the backdrop of the Irish Civil War, but Wolves of Eden (W.W. Norton) opens in the wake of the American Civil War, with the psychologically scarred Union Army veteran Lieutenant Molloy dispatched to Fort Phil Kearny in the Dakota Territory to ‘put boots on the gallows’ – i.e., investigate the apparent murder of the fort’s sutler and his wife. Molloy being an alcoholic determined to drink himself to death, the investigation is largely conducted by his second-in-command, Sergeant Kohn; woven through Kohn’s attempts to penetrate the code of omertà that pertains at Fort Kearny is a rambling, semi-literate confession written by Michael O’Driscoll, an Irish immigrant who has served with the Union Army during the recent War. A compelling tale of men who were ‘chucked into the roaring flames of history,’ Wolves of Eden is superbly detailed in its depiction of frontier soldiering, with Fort Kearny besieged by Chief Red Cloud and the story playing out against the events which led to the Fetterman Massacre of 1866. 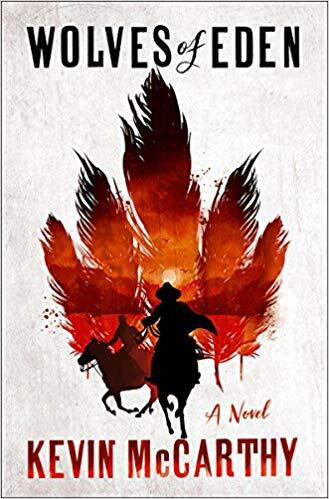 Flashing with shards of coal-black humour – Michael’s brother Tom, shot in the face at the battle of Chickamauga, has ‘a face that would make a funeral turn from a main road’ – Wolves of Eden is a brutal, blood-soaked and unsentimental account of the Old West that bears comparison with Cormac McCarthy’s Blood Meridian. 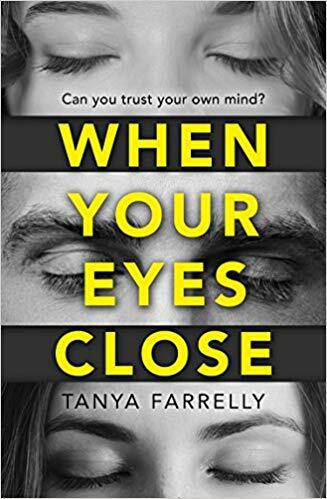 Tanya Farrelly’s When Your Eyes Close (Killer Reads) is an audacious exercise in genre-blending. Nick Drake is an alcoholic who undergoes hypnotherapy in a desperate bid to curtail his boozing, only to witness himself committing multiple murders in what appears to be a previous life. Shaken to his core, and reluctantly believing himself to be the knife-wielding killer John Davis, Nick sets out to investigate what really happened – only to discover that Caitlin, the daughter he orphaned during his killing spree, is struggling to cope with the mysterious disappearance of her husband, David. Where Farrelly’s crime debut The Girl Behind the Lens came coated in gritty realism, When Your Eyes Close revels in its fantastical premise (even if much of Caitlin’s backstory is rooted in the ongoing homelessness crisis). 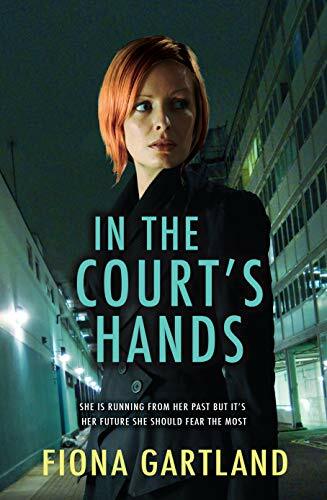 The plot isn’t entirely seamless as Farrelly juggles her parallel time-lines, but the overall effect is an entertainingly off-beat account of a man determined to bring himself to justice. 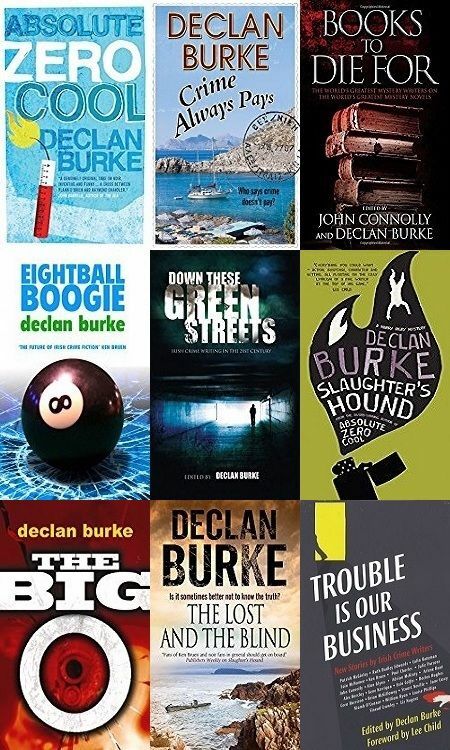 Big Pharma finds itself in the dock In the Court’s Hands (Poolbeg), the debut thriller from Irish Times journalist Fiona Gartland, which opens with Beatrice Barrington, a stenographer at the Dublin Criminal Court, observing a suspicious liaison in the Phoenix Park between Stephen O’Farrell, the accused in a high profile case, and the forewoman of the jury, Rachel Deere. 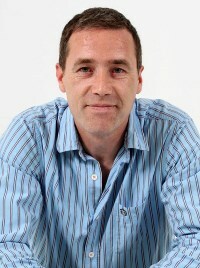 When Rachel is subsequently found dead in her apartment, Beatrice suspects foul play, and enlists the help of ex-Garda detective Gabriel Ingram to help her investigate. There’s more than a hint of the Miss Marple about the prim, fussy and resolutely moral Beatrice Harrington, and In the Court’s Hands offers a neat blend of the courtroom drama and the amateur sleuth sub-genres, and even tosses in what appears to be an homage to Raymond Chandler as Beatrice, nosing around where she shouldn’t, finds herself drugged and incarcerated in a mental hospital. Regular flashbacks to the younger Beatrice’s life in 1980s Dublin leach tension from the main plot, but they are vividly rendered and contribute handsomely to a promising debut. 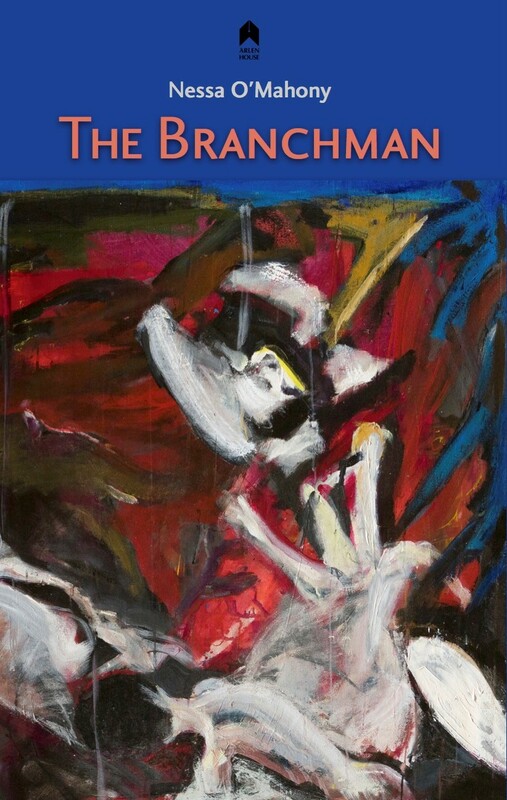 Poet Nessa O’Mahony publishes her debut crime novel with The Branchman (Arlen House) which opens in 1925 with Michael Mackey, a detective officer in the newly formed Garda Special Branch, sent to the Garda barracks in Ballinasloe “to root out subversion”. 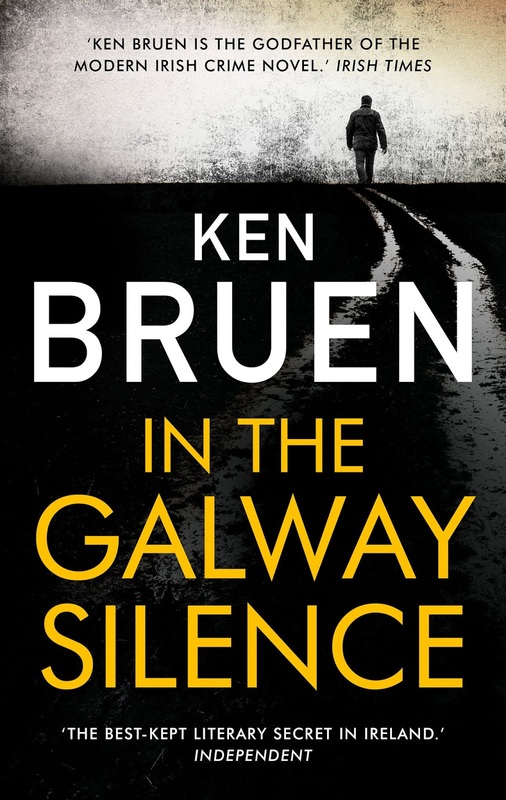 Mackey, a veteran of numerous conflicts, isn’t fooled by the beauty of rural Galway: “It all looked innocent enough, but who knew what old animosities were lurking in those green fields?” There’s enough animosity to deliver a murder, certainly, and Mackey quickly discovers himself investigating the theft of a cache of stolen arms. O’Mahony is particularly strong on the everyday detail of a stranger negotiating a hazardous landscape – the character of Mackey is loosely based on her own grandfather, Michael McCann – and delivers a series of brief, intense chapters which generate a ferocious pace. Most fascinating, perhaps, is O’Mahony’s evocation of the wider political backdrop, that fragile, imperfect peace that took hold in the wake of the War of Independence and the Civil War. This column first appeared in the Irish Times.